How long has it been since you have written a letter? I am not talking about an email or text. During the month of February, take the time to write a love letter to each member of your family. 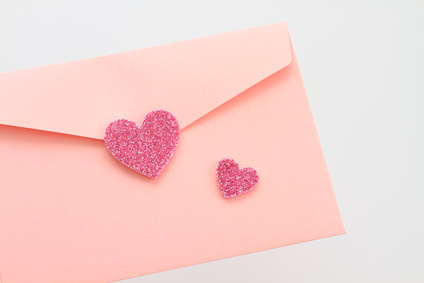 If your children are older, it would be a great idea to personalize the following letter from their Heavenly Father as a special valentine. If you have younger children, read the letter and discuss some of the Bible verses during the month. Don’t forget how important it is to express your love every day! I am so proud of you. Just thinking about you makes me sing (Zephaniah 3:17). You are the apple of my eye, my son/daughter in who I have found great delight (Psalms 17:8, 149:4, Song of Solomon 4:10). Sometimes you fall down, but I love you in your struggles. Your weaknesses are beautiful, because it is from that place of repentance that you realize how much you need me (2 Corinthians 12:10, Song of Solomon 1:5). You are unique—one of a kind (Song of Solomon 1:15, 6:9). Who is there to say that my creation is not beautiful (Isaiah 45:9)? I created your inmost being; I knit you together in your mother’s womb (Psalm 139:13). See, before I established the foundations of the Earth, I knew you. Before I parted the oceans, I was waiting for you, peering through the lattices of time: You have nothing to fear (Isaiah 41:10). Nothing can separate you from my love (Romans 8:38-39). I am here for YOU, every day, every moment. There is nothing I would not do for YOU, because I have already given you the greatest gift of all, my Son (John 3:16). Do not be satisfied with the mediocre life that the world has to offer (Song of Solomon 2:4). Only in me can you find the abundant life you are searching for (1 Timothy 6:19; John 10:10). “Call to me and I will answer you and tell you great and unsearchable things you do not know” (Jeremiah 33:3). Be still and listen. Turn off every distraction. In the secret place you shall find me (Psalm 91:1-2). Many do not know that true love is not measured on the scales of emotion, but of quiet devotion (John 14:15). So, draw near to me, and I will draw near to you (James 4:8). Even when you do not feel me, I am there. I will never leave you nor forsake you (Hebrews 13:5). “For I know the plans I have for you…plans to prosper you and not to harm you, plans to give you hope and a future” (Jeremiah 29:11). Rejoice, then, rejoice! Give thanks to me and praise my name! (Psalm 100:4). For “I have loved you with an everlasting love; I have drawn you with loving-kindness” (Jeremiah 31:3). My love for you remains as steady as the rising sun (Psalm 103:17). It never changes, because you are my child, my creation, and I am well pleased with you (Hebrews 13:8).